Pony, Pithu,Palki are not included. Experience our prompt transfer from Jammu Airport or Railway Station to Katra Hotel (50 Kms/1.5 Hours). Spend rest of the day at leisure. Overnight stay at Katra. 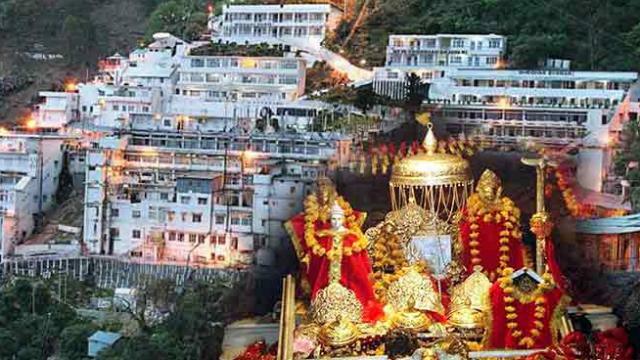 Early morning after breakfast, continue on to Vaishno Devi Bhawan–one of the most famous Indian pilgrimages located at about 5200 feet above sea level in the Trikuta mountaintops across Katra city. A trek of almost 12 km from Katra's base camp, known as Ban Ganga, takes you to Yatra. Ponies / Palkis / Helicopter are the alternative way to perform darshans. 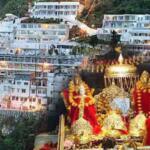 If time allows, visit the temple of Bhairo and return at night to Katra. Stay in Katra overnight. Check out from the hotel and proceed to Jammu for your journey with a sweet memory of your tour at the Airport / Railway Station after breakfast.